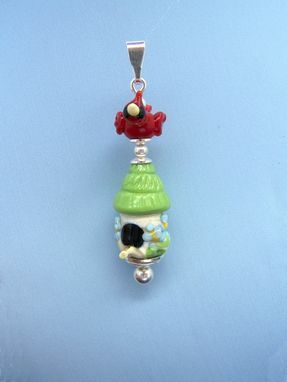 This is a sample of some of my sculptural glass bead work. 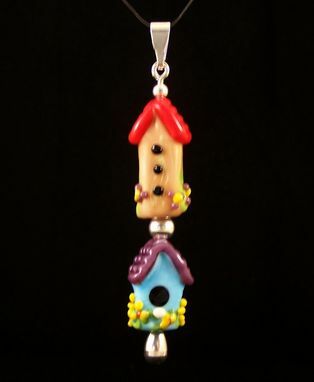 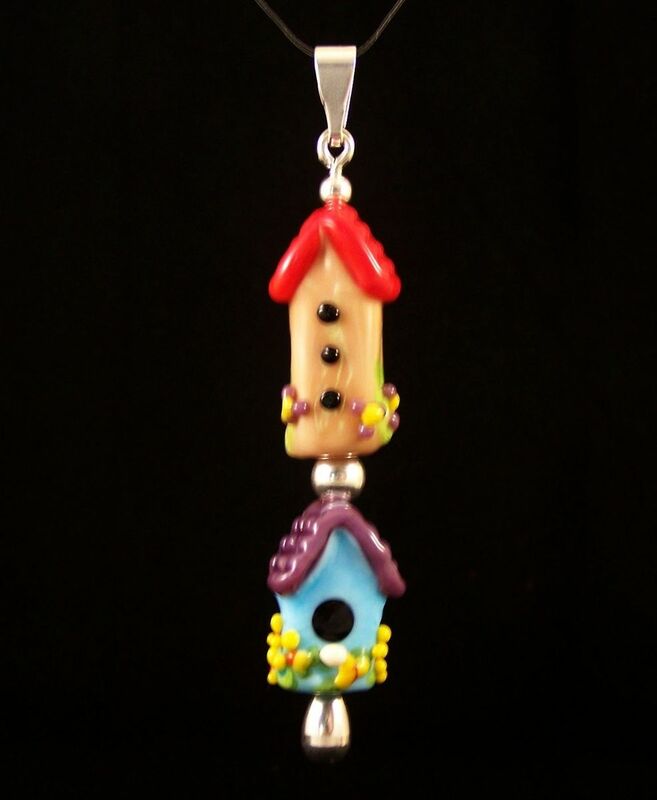 I was inspired by the birdhouses I have hanging in the low limbs of my Live Oak tree. 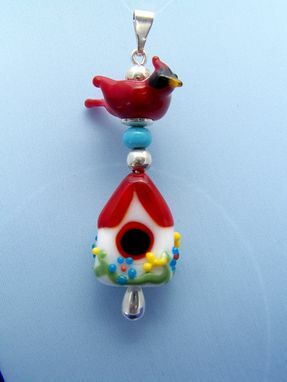 I'm a bird lover and I wanted to do something that would be fun and adorable at the same time! 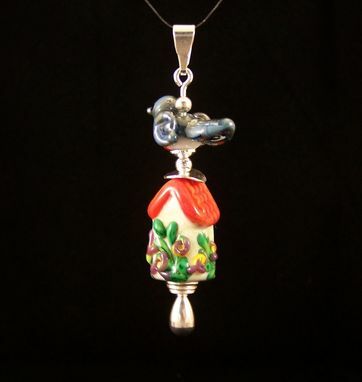 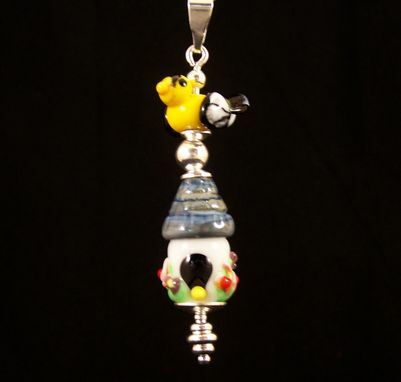 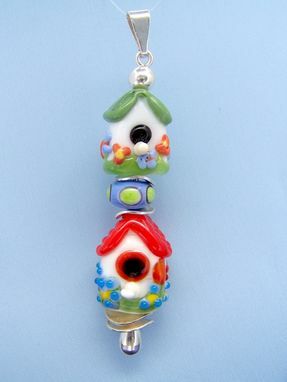 These are pendants that are presented on a silver plated system uses by glass beadmakers to highlight their work.